Perfect with a glass of milk! Try them out and send me a picture if you do! 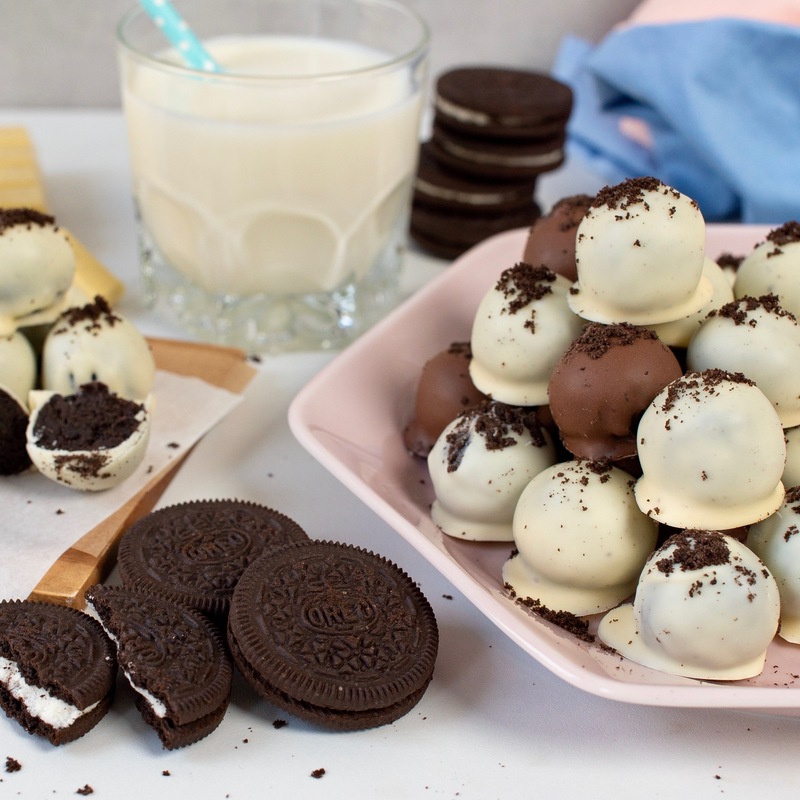 Crush Oreos until you have fine crumbs using a blender or by hand. Set aside 1 tbsp crumbs for decorating later. Add the cream cheese to Oreo crumbs and mix until everything is fully combined. 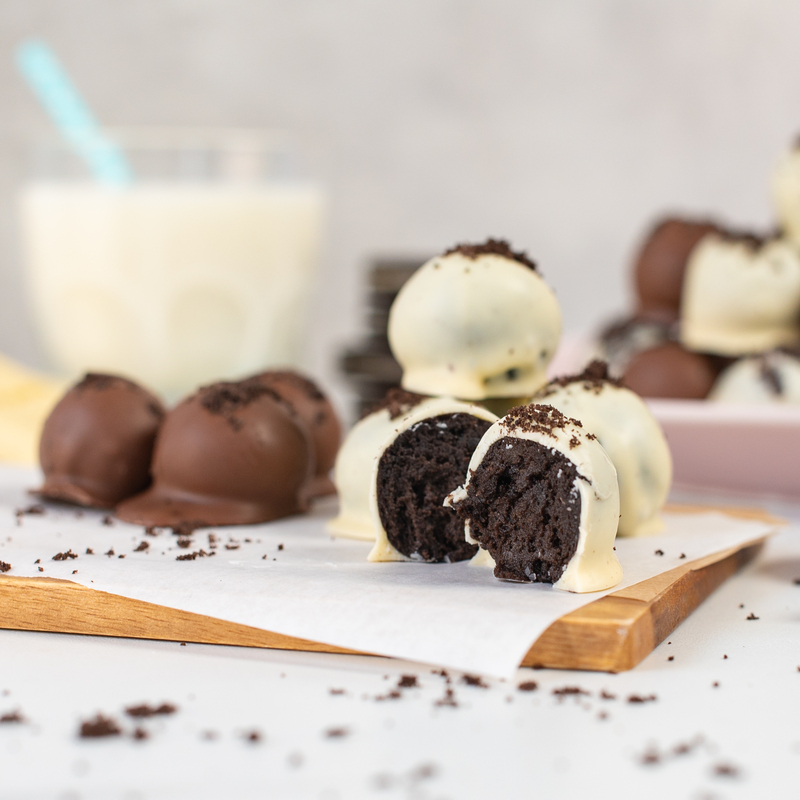 Roll the Oreo and cheese mixture into bitesize balls. Place these on a tray lined with greaseproof paper. Put them in the fridge to harden for about 20 mins (or 10 mins in the freezer if you're running out of time). 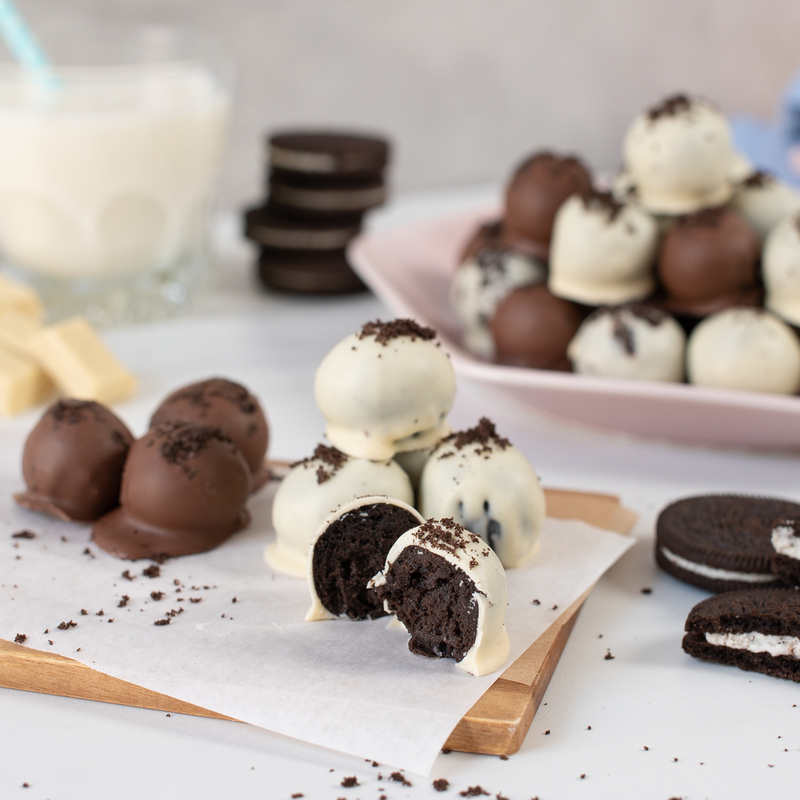 Once the truffles have hardened, coat them in melted chocolate and sprinkle on Oreo crumbs while the chocolate is still wet. Keep them in the fridge until serving.